The first comment that came out of my daughter's mouth was... "Whoa! Those strawberries are huge! Can I please have one?" My son's first comment was... "Can I please have one of each?" 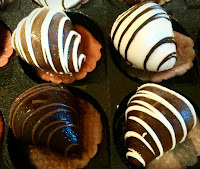 Shari's Berries chocolate covered strawberries are plump, juicy and sweet! They were big, beautiful and absolutely delicious! There was only one slight problem, with 4 of us in the house, they didn't last long enough! Even though they were all mouth-watering, my personal favorite were the milk chocolate with white swizzles. I still can't get over how sweet and delicious they were. YUM! 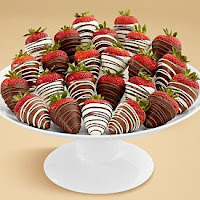 If you're not a fan of chocolate strawberries like we are, you can also choose from a delicious variety of cheesecake, cake pops, cookies, gift baskets and so much more! 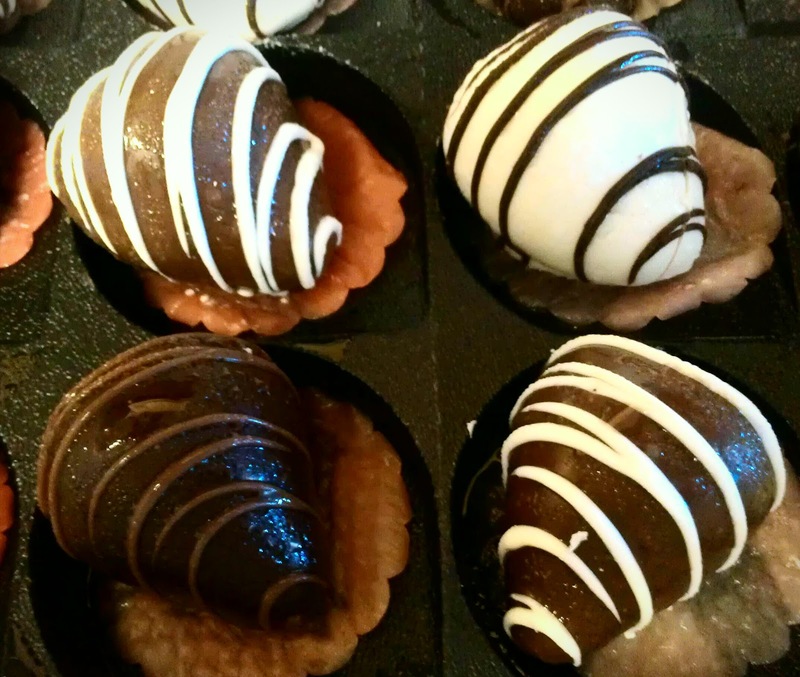 Whether you're looking for the perfect gift, or a special treat for yourself... you're going to love Shari's Berries! Disclaimer: I received complimentary chocolate covered strawberries from Shari's Berries for the purpose of writing a review. Regardless, I only recommend products or services I use personally and/or believe will be a good fit for my readers. The views and opinions expressed on this blog are purely my own. Results may vary. No monetary compensation was received. Oh yum!! Those look absolutely appetizing. How much do the Dark Chocolate ones retail for? Thanks!! Okay, I know what I'm getting the Hubs for a birthday surprise now! Oh yum! These look delicious! They are so pretty, too. I know exactly for whom I am getting some of these! Thanks for the great idea! I love chocolate covered strawberries. These look fantastic, I'll have to check them out! Yum, those strawberries look amazing! How pretty!! Love chocolate covered strawberries! They look great. these would be a perfect closing gift for one of my clients. Hershey's Candy Makes Halloween Complete! The 2012 Holiday Gift Guide Begins November 1st! Travel Size Fogless Shower Mirror - It Works! MAM Personalized Pacifiers BOGO Offer! Free Lindt Lindor Chocolate Truffles! Shopping for a Washing Machine? Take a Load Off! Hello Kitty Slippers - Warm & Adorable!